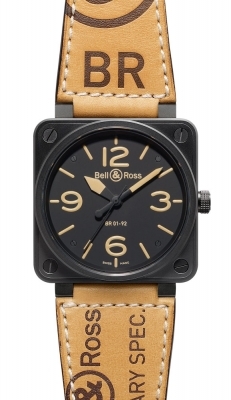 Black dial with a Beige/Sand colored Photoluminescence Indexes, Arabic Numerals & Hands. 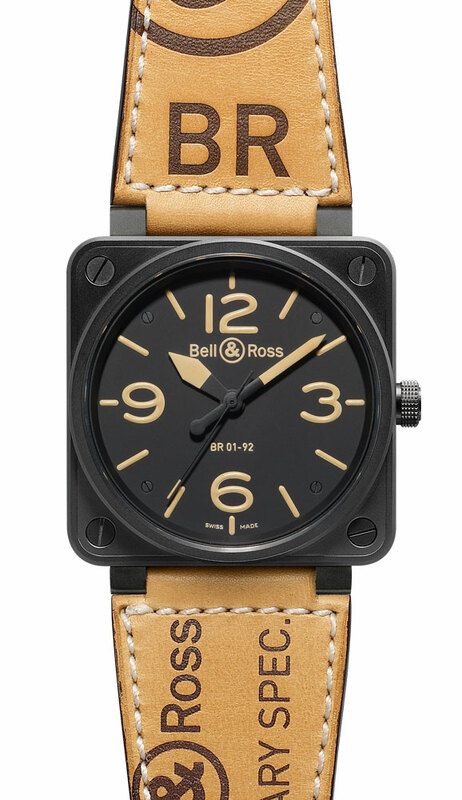 Tan leather strap with white contrasting stitching embossed with a contrasting brown colored text "AVIATION TYPE - MILITARY SPEC." & the Bell & Ross logos. 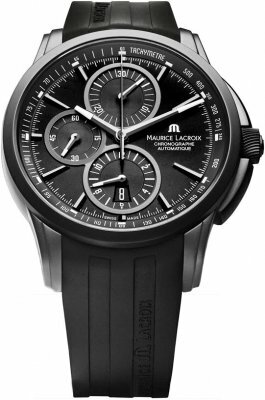 Steel case with black CARBON coating giving the watch a solid blacked look. Satin finished case with some polished finished highlights. 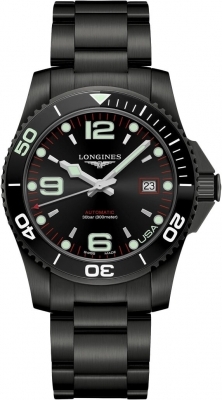 Black dial with Beige/Sand colored Photoluminescence Index & Arabic Numeral hour markers. Black hands painted with Beige/Sand colored Photoluminescence paint. Index markers painted with Beige/Sand colored Photoluminescence paint.